The colors are black, grey and white. 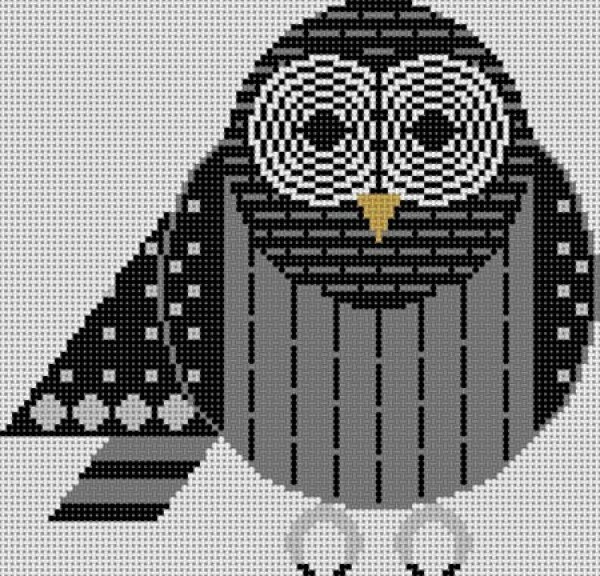 This Barred Owl handpainted Charley Harper needlepoint canvas usually ships in a few days. You can always check availability before you order.